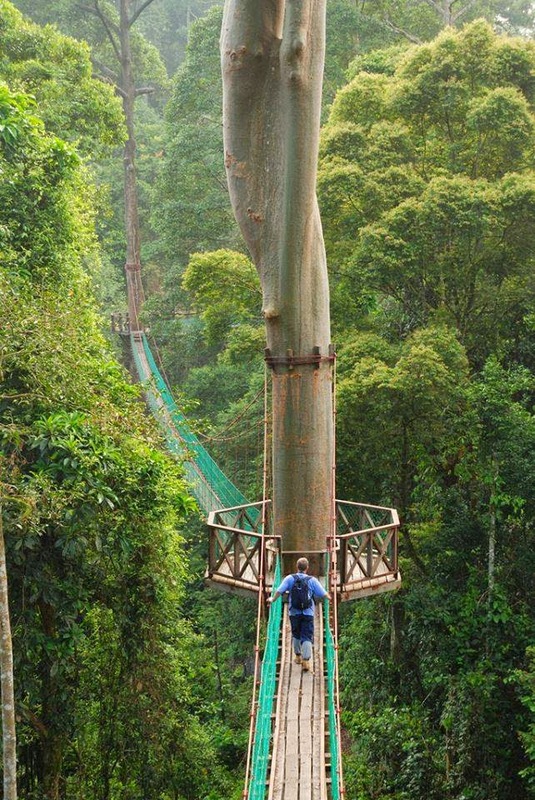 Rainforest Canopy Walkway is located in Danum Valley Conservation Area which is situated on the north coast of the island of Borneo (The part ruled by Malaysia). The Canopy Walkway, suspended almost 30 metres above the forest floor is roughly 300 meter long and it provides multiple viewing platforms, spanning and pedestrian access to the forest canopy, great way to get closer to birds and take amazing closeups. The Walkway was designed to be “Tree Friendly” meaning – no rigging of steel cables directly onto the trees.